Here's a quick, tasty family meal for a quick blog post! I love the idea of one-pot pasta dishes (see here) and when I heard about Pastalaya, a modern Cajun/New Orleans dish similar to the rice-based Jambalaya, but using pasta instead, I was intrigued and had it on my list to "veganize". It's spicy and super-flavorful (even better the next day!) and can be a full meal. I hope you enjoy it as much as we did! Some recipes I've seen use rotini pasta in this type of dish. I used some organic Garofalo brand "casarecce" pasta that I had in the house, but it took longer than it should have to cook, so, the next time I make it I'll use linguine, tagliatelle or fettucine, broken in half. Variation: If you have access to some vegan "shrimp" or "prawns", by all means add them, too! In a large heavy skillet or stirfry pan (flat-bottomed wok), heat the sesame oil over high heat. Add the vegan sausage and chicken sub and stir over high heat until they are lightly-browned. Remove them to a cooking pot and return the pan to the heat, spraying with a bit of oil. Add the mushrooms and the SLICED red and green pepper to the pan and sauté over high heat, adding a squirt of water now and them to keep it moving. When the vegetables begin to wilt a bit, remove them to the cooking pot. Add the chopped onions, celery, peppers and garlic to the skillet or stirfry pan and stir-fry over medium-high heat, adding a squirt of water at intervals to keep them from sticking, until they are softened and starting to brown. If they seem to be taking too long, you can cover the pan and steam them a bit. Add them to the cooking pot, along with the paprika, thyme, oregano and basil and toss everything together. Stir in the broth, water, tomatoes and dry pasta. Bring to a boil, turn to just low enough to keep it at a low boil, cover tightly and cook for about 12-15 minutes, or until the pasta is al dente. If the dish is too liquidy, uncover at the end and cook it down until it is "sauce-y". Taste for salt. Back in November 2011, I was a bit obsessed with waffles. 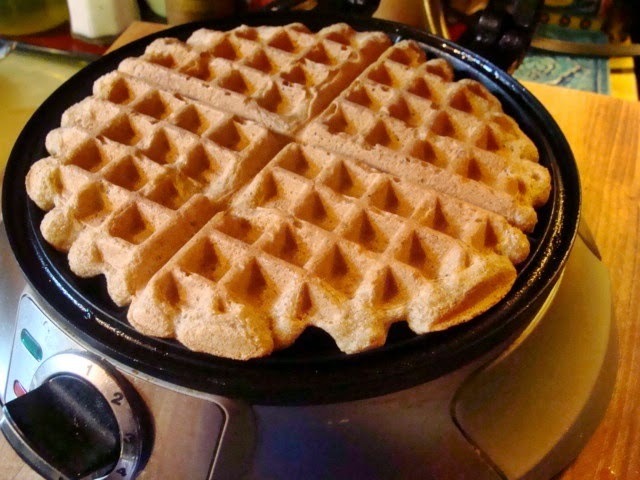 While revising my Vegan Seltzer Waffles (made with club soda, which makes them nice and light), I decided to also develop a gluten-free and soy-free version, so we were eating waffles for breakfast and dinner quite a lot. Finally satisfied with both my gluten-free version and my wheat version (probably to my husband’s great relief! 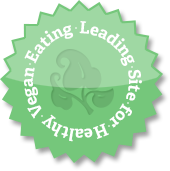 ), I began working on a vegan version of “chicken waffles,” a popular, but very high-fat, restaurant dish. It has always intrigued me, but I was never satisfied with my attempts at recreating a lower-fat vegan version. 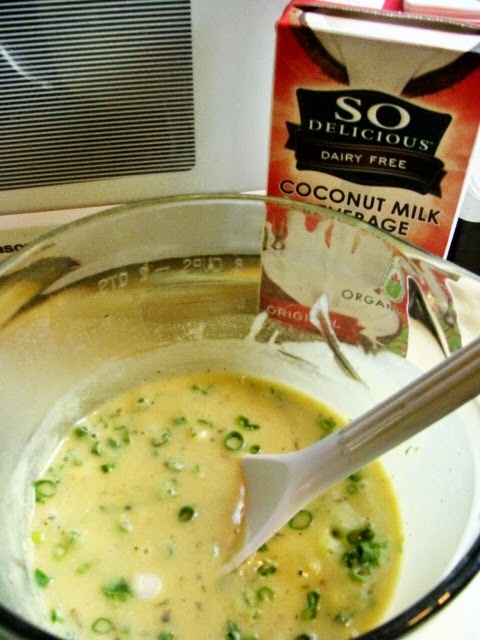 Until I came up with the following recipe that was originally published on a So Delicious coconut milk blog and I'm reproducing here, in a revised (and slightly corrected) format. There are two different versions of this dish—the Southern one, which consists of fried chicken pieces on a waffle with hot syrup poured over the whole she-bang (and now sometimes further “enhanced” with bacon, for good measure); and the Pennsylvania Dutch version, which is a waffle topped with strips of boiled chicken and a chicken gravy. The Southern one sounded a bit over-the-top to me, but I liked the idea of gravy on a waffle (I do love gravy). The very first attempt I made was pretty delicious—I combined the Southern and Northern versions and topped our waffles with some President’s Choice “Meatless Breaded Chicken Strips” (a Canadian product made by Gardein®, similar to their “CrispyTenders”) and a light vegan gravy. Mmmmm-good! (I’m sure that crispy coated tofu strips would be good, too.) The gravy was also delicious with Butler SoyCurls®, reconstituted in a vegan “chicken” broth and lightly browned—a more Northern-style version that would also work with a light seitan or any of the new commercial vegan “chicken” strips and similar products. But I couldn’t use any of those products in a gluten-free and soy-free version of the dish, so I was racking my brains for something delicious that would be suitable and satisfying. For three days or more I mulled it over. Finally, the light bulb went off in my head—crispy oven-“fried” slices of sweet potatoes or yams; suitably Southern and full of flavor—just the ticket! For the gravy, I started out with a milky Southern biscuit gravy recipe that I had developed a few years ago, but it seemed too heavy for this recipe. I revised it, substituting some “chickeny” vegan broth for some of the non-dairy milk and adding some herbs and green onions. I used a white-rice-based GF flour mix (you can use a commercial one with similar ingredients,if you prefer) instead of the wheat flour for the thickener, and it made for an exceptionally silky texture—just what I was hoping for. 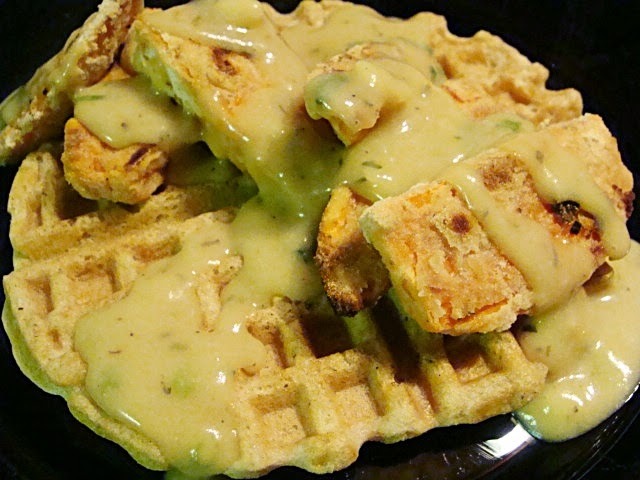 I used Original So Delicious® Coconut Milk Beverage for the "milk" in the waffles, the gravy, and as part of the coating for Crispy Sweet Potato Slices. It provided just the right amount of richness and flavor, without excessive fat. I hope you’ll enjoy this recipe as much as we did! This dish may seem complex at first, but as you'll see, with all three components, you'll be creating a stupendously delicious dairy-free (and gluten-free!) meal—or you can enjoy the waffles, crispy sweet potatoes, or chik'n gravy served with your favorite accompaniments. And since most of the recipes can be made well ahead of time, this hearty meal will be a snap to put together when it's time to serve! For convenience, make the waffles and the gravy ahead of time, and reheat just before serving. If you and your guests have big appetites, use 2 waffles per serving. If not, use one each. It’s a filling and satisfying dish. We like this for supper, but it makes a great brunch dish, as well. While the sweet potato/yam slices bake, you can gently reheat the Chik’n Gravy, either in a saucepan on the stovetop, or in a microwave-proof pitcher in the microwave at no more than 50% power. Place the already-made waffles on racks on top of baking sheets. Place them in the oven at the same time you turn the yam/sweet potato slices over to crisp the second side. Watch the waffles so that they do not brown. You just want to heat them up and crisp them a bit. For each serving, place a waffle (or 2) on a heated plate, top each serving with 5 or 6 hot Crispy Sweet Potato/Yam slices, and drizzle with the hot gravy. Serve immediately. Note: If you don't want or need to make these gluten-free, you can use my original recipe for wheat-based Seltzer Waffles. I use a regular non-stick waffle iron, not the Belgian type that makes thicker waffles. I have the Cuisinart Traditional waffle iron. These waffles can be made ahead of time and crisped and heated in the oven ahead of time, if you wish. NOTE: If you are going to eat the waffles immediately after cooking, adjust your oven rack to the middle position and heat the oven to 250º F. Set a wire rack in rimmed baking sheet and place the baking sheet in oven. If they are to be eaten later, simply have some cake racks ready on your counter. Add the Additional Wet Ingredients and blend briefly to mix well. Turn the blender off, remove the container from the machine and, with a slim spatula, gently stir in the club soda. Immediately make a well in center of Dry Mix ingredients and pour in the combined Wet Mix and club soda. Using a small spatula, gently stir until just combined. The batter should remain slightly lumpy with streaks of flour. Heat your waffle iron, spray with oil from a pump sprayer (or rub with a little coconut oil), and bake each waffle according to manufacturer’s instructions (for a 7-inch round waffle I used 1/2 cup batter). In my Cuisinart Traditional waffle iron, I cook them on the #4 setting until the steam stops pouring from the iron, which takes about 4 minutes. Transfer the waffles to a rack in warm oven and hold them for up to 10 minutes before serving. Or if they are to be reheated later in the day, place them on cake racks on the counter to cool. To reheat the cooled waffles, place them on racks on top of baking sheets in a 350º F oven for a few minutes, until hot and crisp. Any leftover waffles can be frozen in zipper-lock bags to use as toaster waffles. Place the flour, nutritional yeast and salt in a 2-qt. microwave-proof bowl or pitcher and microwave on high for 2 minutes. Whisk in the water, So Delicious® Coconut Milk Beverage, soy sauce, broth powder or paste, sesame oil and herbs. Cook in the microwave on High for 2 minutes. Whisk the mixture well. Microwave again for 2 minutes, or until thickened (microwave once more if necessary). Whisk again, taste for seasoning, stir in the sliced green onions and serve hot. If making on the stovetop, toast the flour, yeast and salt lightly in a DRY heavy skillet or saucepan over medium heat, stirring constantly. Do not brown the flour. 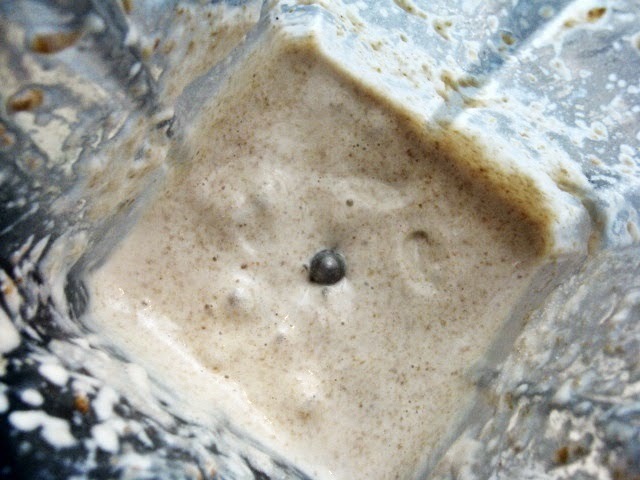 Off the heat, whisk in the water, So Delicious® Coconut Milk Beverage, and soy sauce, making sure that there are no lumps. Whisk in the broth powder or paste, sesame oil and herbs. Stir over high heat just until it starts to boil, then reduce heat to medium and stir for several minutes, until thickened. Whisk again, taste for seasoning, stir in the sliced green onions and serve hot. Preheat your oven to 500ºF. Cut the sweet potato/yam into 4 equal quarters, slicing it in half horizontally and then slicing the halves again in half lengthwise. You can peel the sweet potato/yam first, or remove the peel after cooking—it’s up to you. I microwave the sweet potato/yam (without any water) in a covered microwave-safe casserole for about 7 minutes. You can also steam them. Just make sure that you remove them from the heat source when they are just barely cooked—you can stick a fork in the center, but the flesh is still firm. Let them cool. (If you have not peeled them already, run some cold water over the skin side and the peel should come off easily. If it doesn’t, use a paring knife.) Slice the quarters lengthwise into about 3/8-inch-thick slices. Assemble 3 shallow bowls (such as soup bowls) and place the 1/2 cup white GF flour mix in one; the So Delicious® Coconut Milk Beverage mixed with the Cajun seasoning and the 1/2 tablespoon white GF flour mix, in the second bowl; and the brown rice flour in the third. Have ready a large baking sheet (dark baking sheets brown foods better), sprayed with oil from a pump spray bottle. Coat each slice of sweet potato/yam first with the white GF flour mix, then the So Delicious® mixture, and then the brown rice flour. Lay each coated slice on the prepared pan. Place in the preheated oven and bake for about 7 minutes, or until the bottoms are golden and crispy. Turn the slices over and bake for another 4-5 minutes, or until the bottoms are also golden and crispy. 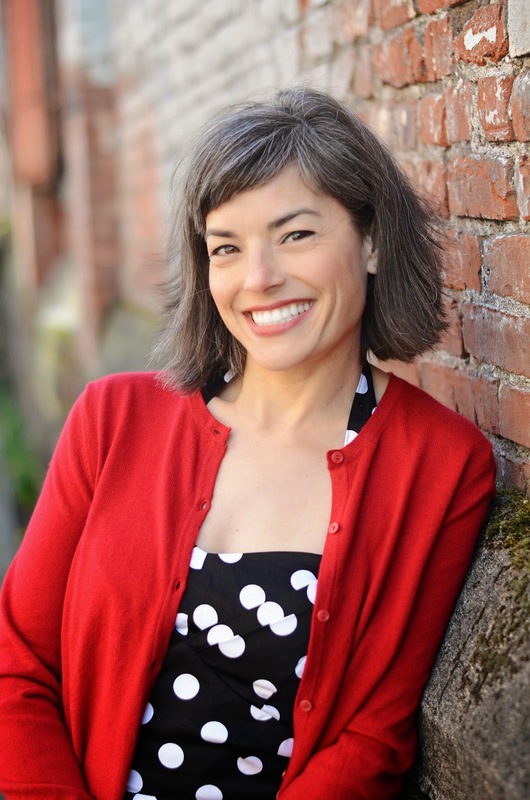 VIRTUAL BOOK TOUR FOR JULIE HASSON'S YUMMY NEW BOOK "VEGAN CASSEROLES": TRUFFLED CAULIFLOWER MAC & BUMBLEBERRY COBBLER! Fabulous new book by the gorgeous and talented Julie Hasson! A must for every vegan household! I do not pay this compliment loosely! 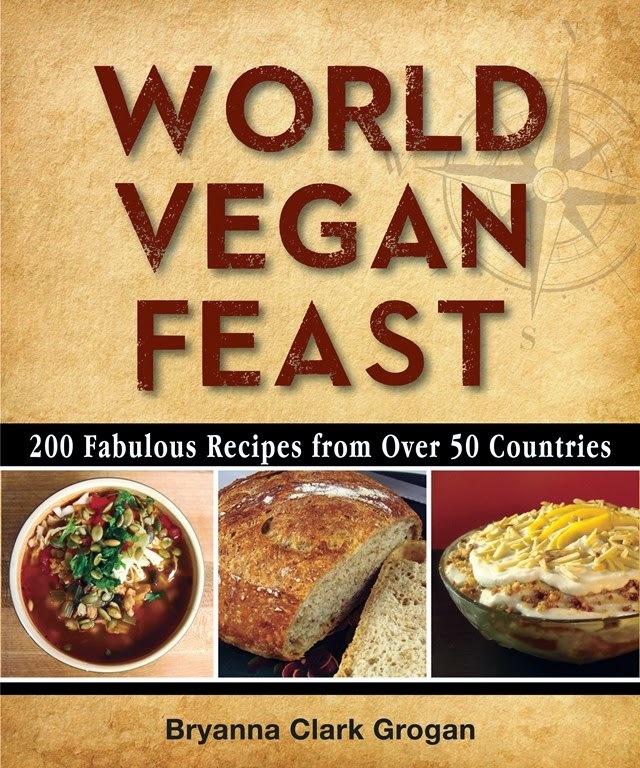 I have many vegan cookbooks (and non-vegan, too) and love the odd recipe in just about each of them. But very few of them have so many "possibles" flagged that will no doubt be made many times, because they are so simple to make and mouth-watering-ly tempting, and I am confident that the recipe will turn out as advertised. I know Julie and I'm very familiar with her work. 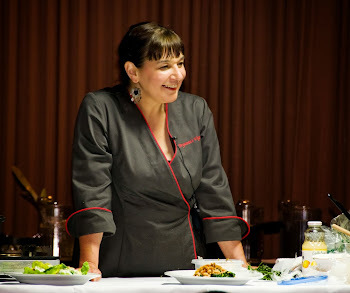 She is a perfectionist and you can be sure that her recipes will not only work, but taste wonderful! I made two of Julie's casseroles for a casual dinner with two friends. Both casseroles (and a veggie dish of my own) were done and ready to serve within 1 1/2 hours of starting, with time to get changed, and I had not even previewed the recipes or assembled all the ingredients beforehand. 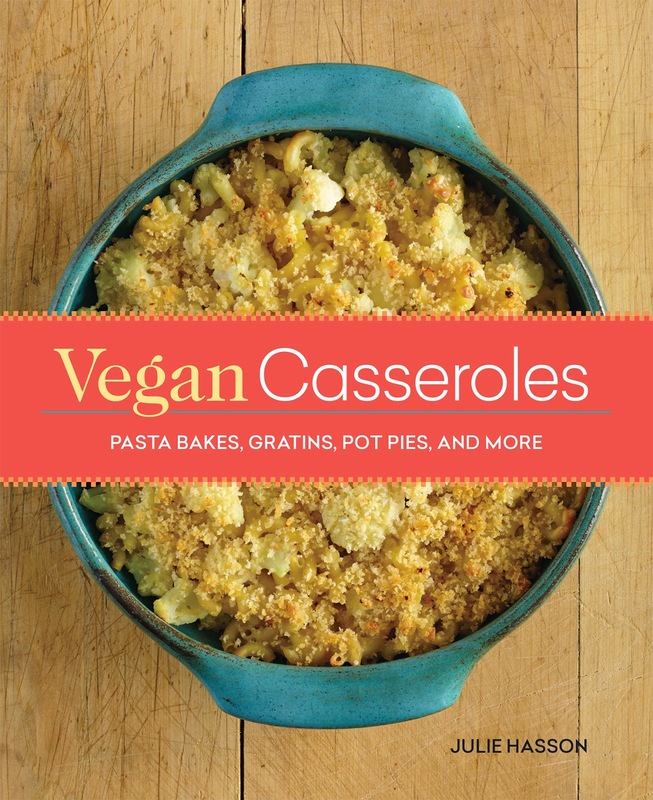 I heartily recommend "Vegan Casseroles: Pasta Bakes, Gratins, Pot Pies, and More", even if you aren't a vegan! (It would make a great holiday gift.) Besides the tempting recipes, Julie has shared many handy tips and ideas, gluten-free variations, and basic recipes that you can use in your own creations, such as gravies, sauces, salsas, cheesey things, homemade "Bakin' Bits", Smoky Soy Curls, and my favorite, Buttery Crumb Topping (recipe below) which is so tasty and crunchy! It was difficult to choose the two dishes for this blog tour post from the list I was given, but, in the end, I think I made excellent choices because my guests were not shy about seconds and even thirds! I had all of the ingredients in my pantry or refrigerator for these dishes, even the truffle oil, a gift from a friend-- a fact which also helped me decide what to make. Julie is graciously sharing these recipes from her new book, so, without further ado, here are the recipes I made (with some of my own photos) -- I hope you enjoy them as much as we did! Reprinted with permission from VEGAN CASSEROLES © 2014 by Julie Hasson, Running Press, a member of the Perseus Books Group. In a large pot of lightly salted boiling water, add the macaroni and cook according to package directions until tender. When the pasta is about 2 minutes away from being done, add the cauliflower to the boiling pasta water. You want the cauliflower to be just fork-tender and the noodles to be al dente. Drain the pasta and cauliflower well and transfer to a large bowl. Add the prepared sauce to the cooked macaroni and cauliflower, mixing until the pasta is coated. Add salt and pepper to taste. Scoop the macaroni into the prepared baking dish. Sprinkle the crumb mixture over the top of the casserole. Bake for 20 to 30 minutes, or until the top is nicely browned, and the casserole is heated through. Remove from the oven, drizzle the top of the casserole with a little additional truffle oil, if desired, and serve. 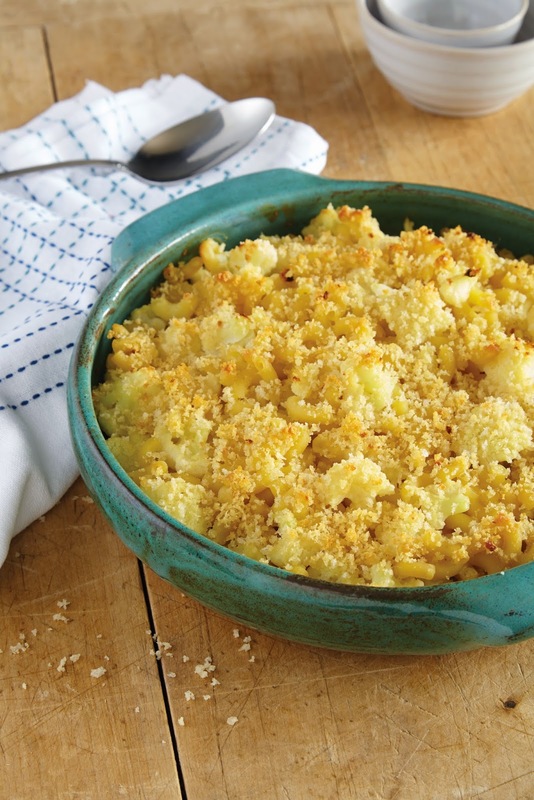 Variation: To make a straight truffle mac casserole, simply omit the cauliflower. Tip: Use a good-tasting unsweetened soymilk for this sauce, as the flavor really comes through. Tip: If you're using a high-speed blender, you can skip the soaking step for the cashews, and just use them dry. Add a little extra water to blend if needed. To make a truffle sauce, to the blender jar add 1 to 3 tablespoons truffle oil to taste and reduce the granulated onion to 1/2 teaspoon. Add a few sprinkles of freshly grated nutmeg. Variation: For an herbed garlic-flavored-topping, add 1 tablespoon chopped fresh herbs. For a richer topping, increase the melted margarine to 3 tablespoons. In my book, you can never have enough berry dessert recipes. Ever! This is another perfect berry dessert to add to your dessert rotation, no matter the season. 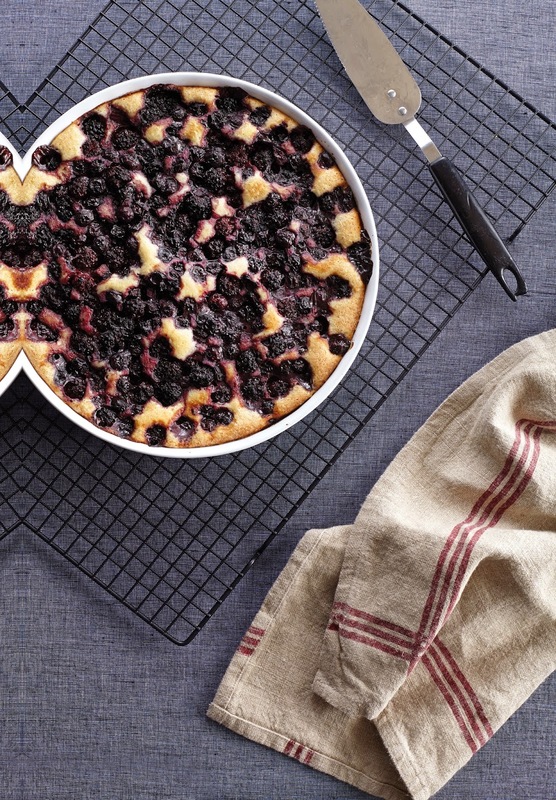 One of the coolest things about this cobbler is that even though the berries go on the top, the batter below bakes up into a cake-like topping over them. I adapted this recipe from my pie book, The Complete Book of Pies. Preheat the oven to 350°F. Grease an 11 x 7-inch glass or ceramic baking dish. In a medium bowl, toss the berries with 1/4 cup of the sugar. In a separate medium bowl, whisk together the flour, baking powder, salt, and remaining 3/4 cup sugar. Add the soymilk, melted margarine, and vanilla, whisking to combine. The two components of this cobbler-- so easy to throw together! Scrape the batter into the prepared baking dish. Scoop the berries evenly on top of the batter (don’t stir, as the batter will rise to the top as it bakes). Bake for about 65 to 70 minutes, or until the top crust is nicely browned and looks cooked through and the berries have formed a thick sauce. If it looks like there are a few spots where the batter isn’t cooked all the way through, which you can confirm by lightly touching the spots with your finger, continue baking for another 5 to 10 minutes, or until fully cooked through. Let the cobbler cool on a rack for 15 minutes before serving. My cobbler doesn't look as pretty as the photo in the book, but it sure was delicious! Gluten-Free: Substitute a mix of 1/2 cup sorghum flour, 1/4 cup superfine brown rice flour, 1/4 cup potato starch, and 1/2 teaspoon xanthan gum for the all-purpose flour. VEGAN "SCALOPPINE", MY GO-TO QUICK MEAL, THIS TIME "AL LIMONE"
Scaloppine is the term used for very thin Italian-style cutlets (or "scallops" or "medallions"), quickly prepared with a savory sauce. My vegan version of this Italian favorite is made with thin seitan cutlets, commercial vegan cutlets, or my Breast of Tofu Crispy Slices, which I usually have marinating in my refrgerator for quick meals. Scaloppine are sauced in a number of ways, and no doubt you will make up a few of your own once you get the hang of it. (This is one of the most successful vegetarian dishes to serve to omnivores, by the way.) You are limited only by your taste, your pantry and your imagination. This type of dish is actually one of my favorite "go-to" dishes for occasions when I have to make a really quick meal (start-to-finish in 20 minutes or less). My husband likes orzo, so I usually put some on to cook first. (I cook it like rice-- 1 cup orzo to 2 cups salted water or broth; add herbs if you like.) 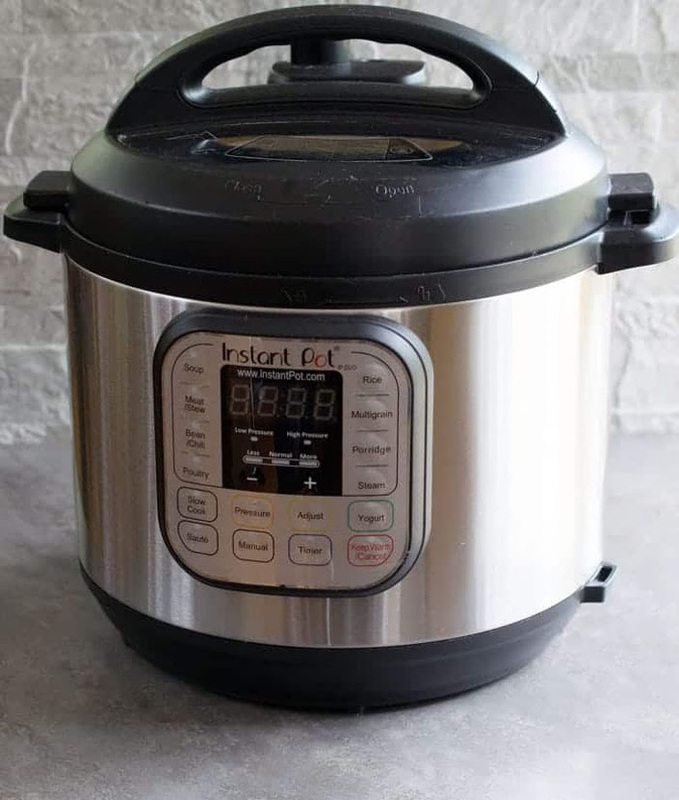 It takes about 20 minutes to cook. Crusty bread is a ready-made and traditional accompaniment, too. Add a salad or some quick-cooked greens. Quick as it is, it's good enough for company-- really! The Method: I brown and crisp the "B of T"(Breast of Tofu) or the cutlets and set them aside, and then make a quick sauce with some wine (sherry, vermouth, Marsala, port, white or red wine) and broth and whatever interesting ingredients I have around. That could include bell peppers, artichoke hearts, sun-dried tomatoes, olives, fresh or canned tomatoes, onions, leeks, a variety of herbs, both dried and fresh, miso (my vegan equivalent of anchovies or anchovy paste, which is often used as an umami flavoring agent in Italian cooking), a tiny bit of chopped vegan "bacon" or "ham", unsweetened vegan creamer, ... even fruits like sliced apples or pears. In this recipe, lemon is the primary flavoring and chanterelle mushrooms (which we can pick on our local walks at this time of the year) take the starring roll in this version of the dish. Whatever you use in your recipe, follow the same method of cooking as in this recipe and it's hard to go wrong! This is adapted from a recipe in my book "Nonna's Italian Kitchen". If you prefer, use 4 commercial or homemade vegan cutlets, floured or breaded and crisped in a little olive oil, instead of the tofu. In a heavy non-stick, cast iron or hard-anodized skillet, heat the olive oil over medium-high heat. Add the garlic and rosemary and stir-fry for a minute. Raise the heat to High and add the mushrooms. Sauté until the mushrooms exude their liquid and then evaporate most of the liquid. Add the wine and reduce the liquid by half. Add the pre-cooked crispy slices of Breast of Tofu (or alternate) to the pan. Add the broth and lemon zest. Bubble the sauce over high heat until a nice sauce forms. Add the lemon juice and pepper to taste. Serve immediately. In Italy you would probably eat this type of dish with crusty bread, but North Americans might prefer plain rice, orzo or egg-free pasta.